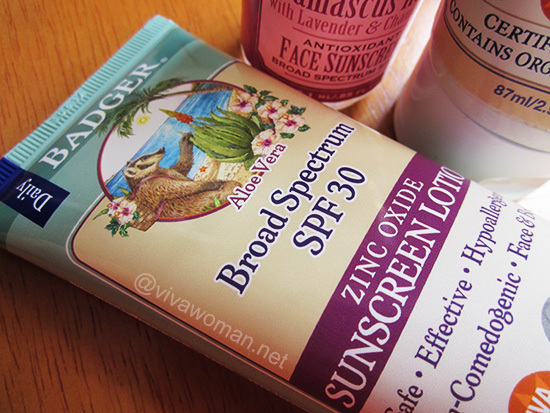 I was planning to repurchase the Badger Aloe Vera Broad Spectrum SPF30 Zinc Oxide Sunscreen Lotion and had it parked in my shopping cart. Alas. When I finally came down to ordering about a week later, the item was no longer available at iHerb. 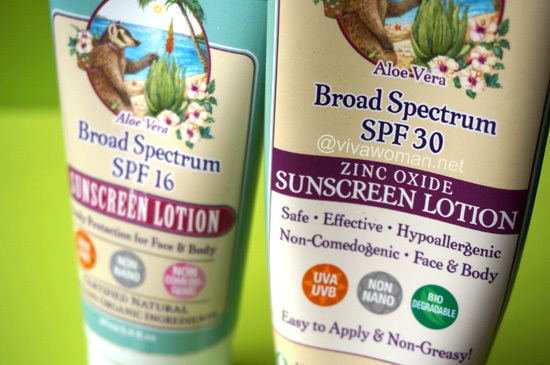 So in the end, I ordered the Badger Aloe Vera SPF16 Broad Spectrum Sunscreen Lotion instead. I figured that since I only wanted a sunscreen mainly for my neck and arms, I can do with a lower SPF for the time being. But it certainly looks like Badger has really made a great effort to improve their sunscreen formulations as this third product I’m trying under the brand’s daily sunscreen range is easy to apply and doesn’t leave an ugly whitecast or greasy appearance. You can say it’s nearly invisible. 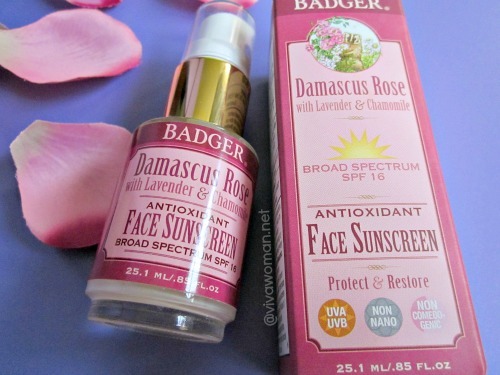 I had tried their Badger Balm Damascus Rose SPF16 Face Sunscreen and for a moment, I thought this is the same product as that because it feels and looks like it. The only difference is in the scent. I wasn’t keen to use this for my face due to the lower SPF level as my preference is for a sunscreen with at least SPF30. However, I’ll concede that this applies very nicely without leaving any whitecast unless you’re of a darker skin tone. In fact, I’ll say this one is easier to apply and blend than the SPF30 version. When I tried it on my face, it works nicely with my makeup and does not dry out my skin nor is it gooey. I think those without pigmentation issues can go for this product. For me, my personal threshold for peace of mind is SPF30 and above. *Aloe Barbadensis (Organic Aloe) Extract, *Olea Europaea (Organic Extra Virgin Olive) Oil, *Sucrose Polysoyate (from Organic Soybean), Aqua (Purified Water), *Ethyl Palmate (from Organic Palm), *Sucrose Cocoate (from Organic Coconut), *Glycerin (from Organic Palm), *Citrus Medica Limonum (Organic Lemon) Extract, Chondrus Crispus (Carrageenan) Extract, Xanthan Gum, and *Hydrolyzed Soy Protein (from Organic Soybean). 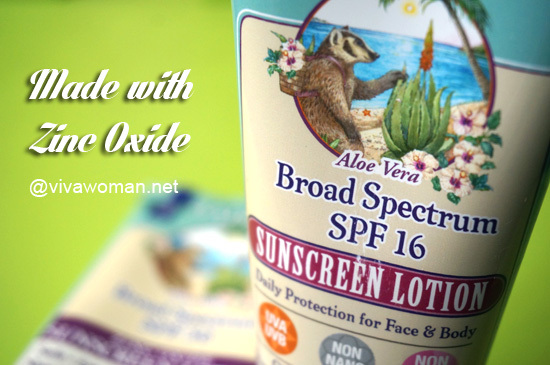 Available at iHerb for US$14.39, the Badger Aloe Vera SPF16 Broad Spectrum Sunscreen Lotion is good enough for casual sun exposure and safe enough for those who spend most of their times indoor. It is definitely not a heavy duty sunscreen for prolonged outdoor activities. However, if you’re living in a tropical zone like like I am, I’ll still recommend you to go for the SPF30 version if you can get your hands on it. It does take a bit more effort than the usual but considerably easy enough, especially if I compare it to my usual MVO. I’m going to repurchase that too…when I can find new stocks. For years, I have been battling with hyper pigment and melasma, not forgetting the countless IPl and laser session to treat them without much success & couldn’t figure what went wrong. .is it the laser machine or the doctor’s skills. ? 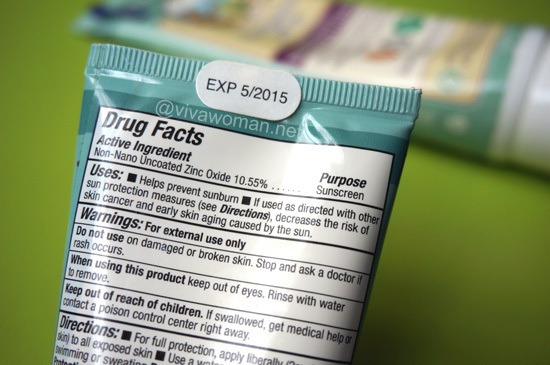 So someone a friend reminded me that sunscreen ingredients list should contain either zinc oxide & titanium dioxide. Again I foolishly thought if I see these 2 ingredients , then it’s a good buy! not caring if it’s on the last on the ingredients list. The problem is, many skin are makers do not have the habit to indicate the percentage level of zinc oxide so it’s really difficult to buy to suit my needs. I bought a8% zinc oxide sunblock from Cosmetic Skin Solution & I looked like a vampire ! So I had to settle for Neutrogena 4% zinc oxide Which can blend better into my skin. I guess I am not getting the maximum sun protection as I want to. The question is…I noticed many sun screen makers incl. leading jap & Koreans brands does not indicate the zinc oxide actual content, yet the label still shows PA+++ .is this kind of misleading ? 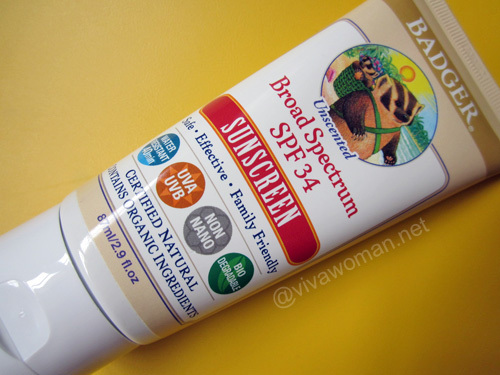 Even BB creams also claimed it contain high SPF factor with PA+++ . Then I might as well Use BB cream to serve as a sunblock too.